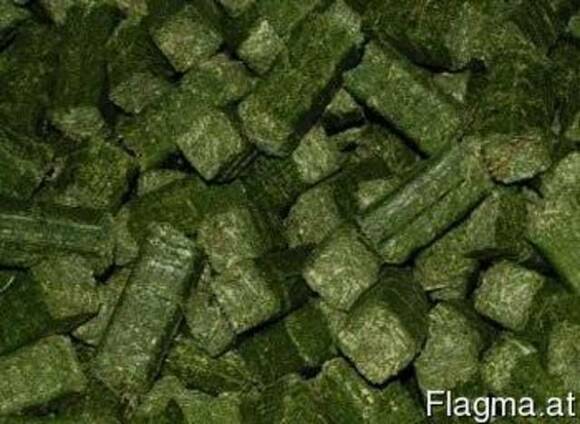 Alfalfa is very palatable forage for dairy cattle and a good source of protein, vitamins, calcium and potassium. It also tends to be higher in energy than many other forages. Suncured alfalfa pellets are produced from alfalfa hay, which has been ground and pelleted. The meal is produced by regrinding the pellets. If the hay is chopped instead of ground, the product is called suncured chopped alfalfa or chopped alfalfa hay. In addition to the 13 percent crude protein product, a 15 percent crude protein product also is commonly available on the market. Suncured alfalfa is used as a forage source in dairy rations. Because its small particle size tends to alter rumen fermentation patterns and possibly depress fat test, suncured alfalfa (pellets, meal, or chopped) should not make up more than 50 percent of the ration’s forage dry matter.